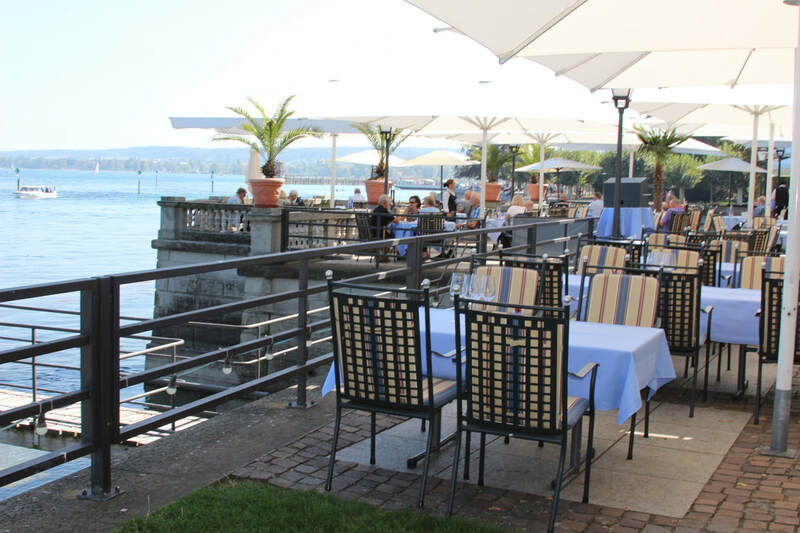 Set on a private island on the shores of Lake Constance there’s no denying the 5* Steigenberger Inselhotel has an enviable position. 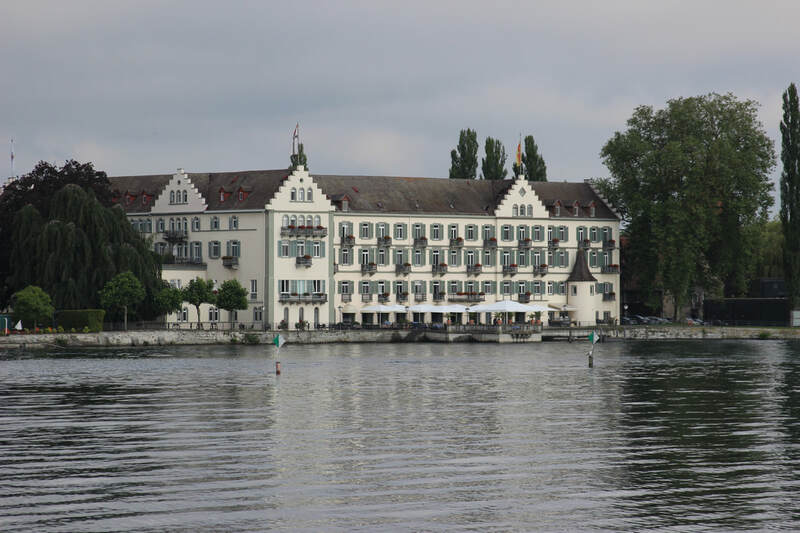 Tethered to town by a causeway and only a few minutes’ walk from the town of Constance - Konstanz to the locals – the hotel is a first class base from which to explore both the town and surrounding area. Interestingly, although Lake Constance lies at an altitude of more than 1,300 feet it has a mild microclimate so even palm trees flourish here. 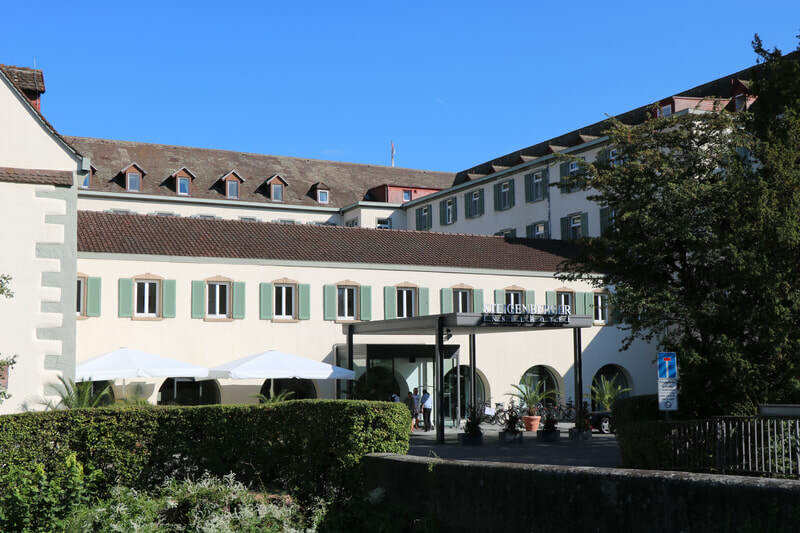 The hotel manager explained to me that the hotel started life in the 12th century as a Dominican monastery founded by Bishop Heinrich von Tann. For a few years in the 1500s the convent was used by the city of Constance as a temporary hospital before being returned to the friars. It wasn’t converted into a hotel until 1875 by a family called Zeppelin, who attracted more fame for inventing the pioneering airships than they did for being hoteliers. In fact, Count Ferdinand von Zeppelin was born here. Harking back to its time as a monastery, the magnificent original cloisters with beautiful murals depicting events from the city’s past can still be seen. These were painted in the early 1900s by Professor Karl Haeberlin from Stuttgart. The Seerestaurant offers a wonderful buffet breakfast including champers. It overlooks the terrace and lake. Guests can eat lunch and dinner here too – meals are hearty so bring your appetite when you come. The less expensive Dominikaner Stube, a rustic restaurant, serves regional specialties. 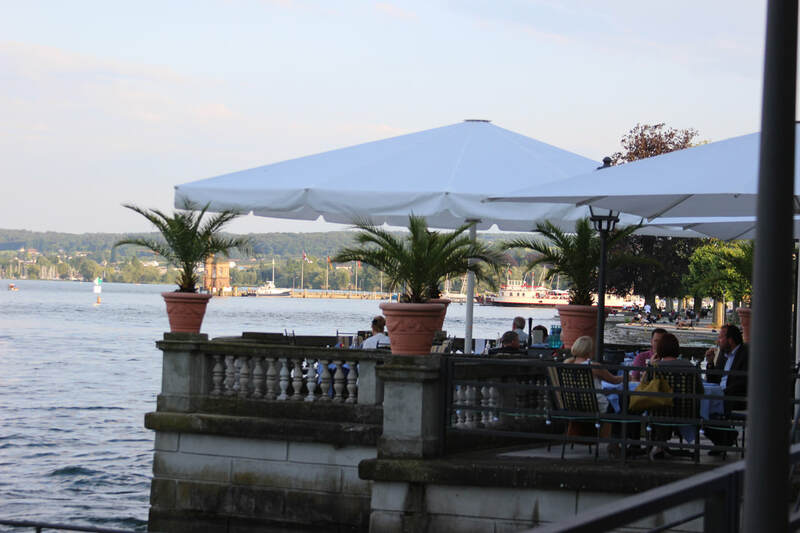 Both restaurants serve international cuisine and are particularly strong on fish dishes – after all, the lake is right on the doorstep. There are 35 edible species of fish in the lake with the most popular being the felchen, one of the whitefish family. In warm weather it isn’t surprising that al fresco dining on the Terrace is popular, ambience and views are spectacular. Light meals, daily coffee, cake and ice creams are served here. 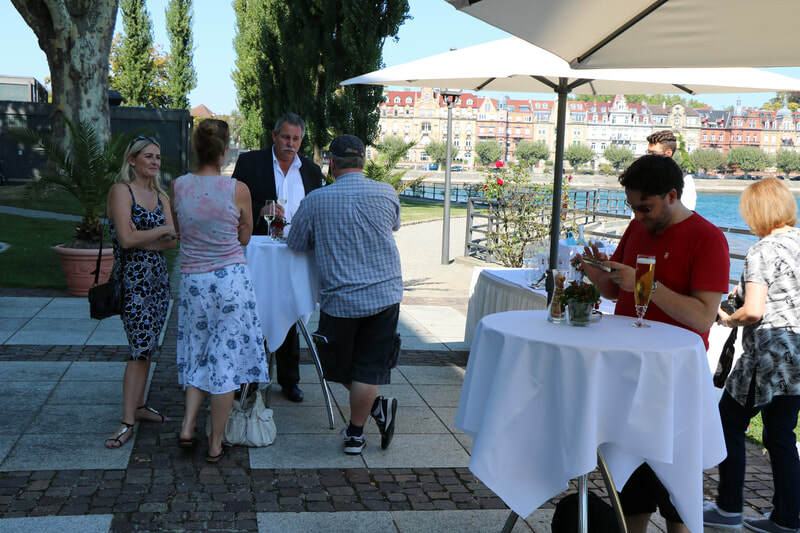 For drinks, there is the Zeppelin Bar located in the old monastery sacristy – occasionally a pianist comes along in the evening to entertai - and the lobby bar serving hot and cold soft drinks. Guests can relax in the spa which has a Finnish sauna, steam room and infrared cabin. There is a small well equipped gym too for those who want to break into a sweat of a different kind. In warmer weather private lakeside bathing is available for guests of the hotel, the water is warm, around 26-degrees. There is also a multitude of lakeside trails for walking, jogging or cycling.